It’s a funny advert with a serious point. A family boards its flight for a holiday. Over the tannoy the pilot explains he hasn’t bothered making any pre-flight safety checks to the plane. Cue panicked faces and unbuckled seat belts as everyone scrambles to leave. The ad has been produced for Highways England. The organisation, responsible for the safety and management of the nation’s main roads, is trying to raise awareness among drivers to perform safety checks to their car before every journey. The logic is sound. Driving is inherently more dangerous than flying. So why would you get into a car without knowing that crucial things like its lights, wipers and tyres are all working or safe? According to Highways England, in 2014 there were 38 deaths or serious injuries resulting directly from failing to check that a car was fit for the journey ahead. The agency adds that even if a grave incident doesn’t arise from a lack of pre-drive checks, a great deal of inconvenience does. In 2015, 7419 breakdowns on main roads were caused by one of the most avoidable problems: running out of fuel. It’s tempting to imagine that the only time our cars need checking is when they go for their yearly service or have an MOT test. In fact, there are basic checks that all drivers can complete – without requiring mechanical know-how. Highways England says it’s especially important to perform such checks before setting off on a long journey. That’s because when a vehicle breaks down on a main road, everyone on board is placed in a vulnerable position, exposed to high-speed traffic passing in close proximity. In 2015, almost a third of accidents in the UK in which vehicle defects were a contributory factor were due to underinflated, defective or illegal tyres. There’s a simple way for anyone to check that a car’s tyres have more than the legally required tread depth of 1.6mm. Take a 20 pence piece and hold one leading edge of the coin between your fingers. Place another edge of the coin into the grooves of the tyre’s tread. If the tread is deeper than the inner rim of the 20p, the tread depth is safe. If it isn’t, your tyres must be replaced. Repeat this in several places around the tyre as they often don’t wear evenly across their width. For convenience and safety, Green Flag’s technicians would recommend all drivers invest in an air compressor or pump. That means ahead of any journey you can check or adjust the air pressure of your car’s tyres, including the spare wheel. And did you know: if you load your car with a full complement of passengers and luggage, the vehicle manufacturer recommends inflating tyres to a higher pressure than normal? These pressures are shown in the user manual and designed to ensure safe road holding. Leaving a car running on fumes is a bad idea. What if the petrol station you were counting on visiting is closed? Or your guestimate of how much driving range remains proves wrong? Or the range computer on your car is a few miles out? Do you really want to be stranded at the roadside? 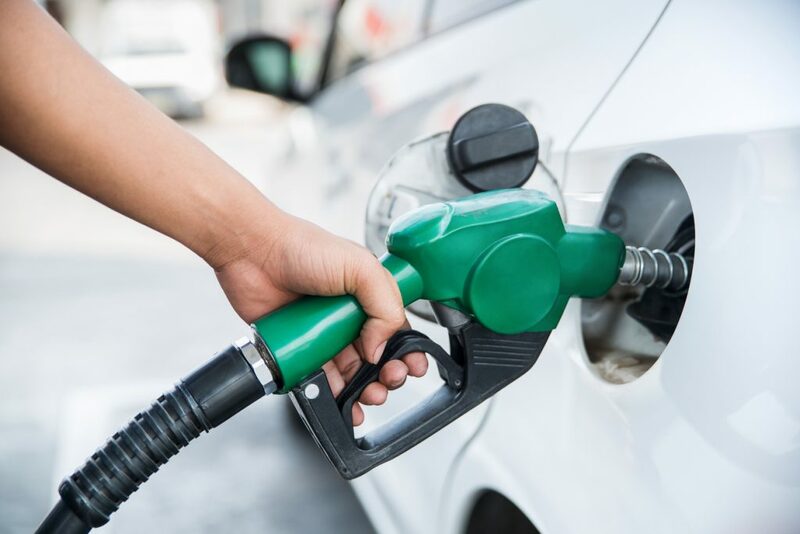 Highways England advises drivers stick to the simple approach of always having a quarter of a tank of fuel in their car. Oil is the lifeblood of an engine. This is why car makers recommend that drivers check it each time they fill their car with fuel. Hands up who doesn’t? If that’s you, see how to do it and find out which sort of oil your engine might need in this guide. If you can’t see where you’re going, you aren’t going to get very far without posing a danger to yourself and other road users. Check that your windscreen washer fluid reservoir is brimmed and that the dilution is appropriate for the time of year. We’ve published a helpful guide here. Then inspect the wipers and ensure they’re in good working order. Check 6: Light ’em up! And finally… check your car’s lights. And remember: that isn’t just the headlamps, it’s the indicators, tail lights, brake lamps and fog lights too. People are far too lazy to do any thing like that.